Tag Archives: Royal Warwickshire Regt 1916. 10TH MAY 1916: SNIPER ATKINS OBSERVING & SKETCHING GOMMECOURT WOOD. 2nd May Tue: Battalion Training. 3rd May: Wed. 9.45 am: Marched to new billets at CONETTEMONT and HONVAL. 4th May Thur 7.0 am: Marched to new billets at ST. AMAND (1). 5th May Fri: 1.30 pm: Marched to FONQUEVILLERS (2) and relieved 1/6th Bn ROYAL WARWICKSHIRE REGT in L SECTOR Trenches. 6th- 7th May: FONQUEVILLERS. Enemy abnormally quiet. 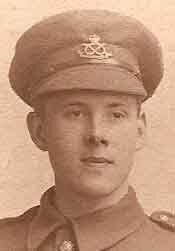 8th May Mon: Enemy fired 10 Trench mortar bombs between No.1 and 2 posts. Our artillery retaliated on enemy front line. 9th May Tue. : Enemy shelled No. 4 post. 1 Lewis Gun damaged and portion of parapet damaged. 10th May Wed: Very quiet day. March from Chelers to Front Line at Fonquevillers/Gommecourt via Canettemont/Honval and St Amand: 40 miles (65 km) approx. with full pack in 2 days. Rough Map efw. Preface Title Page: ‘Sniper Atkins composed by a Sniper during a tour in the Trenches and Illustrated with original drawings from the pencil of the same’. Signed ‘Sniper Hibbett’. ‘While in trenches I drew sketch of Gommecourt Wood (3) in Fonquevillers and composed ‘Sniper Atkins’ (4). More observing and taking notes than firing from Sunday May 6th. ‘Sketched position. Man, wearing no equipment & carrying no rifle, seen to come down enfilade trench towards first line trenches, disappear in shrubbery & appear again walking apparently on top of parados of first line trenches, seen then to carry a white can similar to gallon can by hand, tall trees in front, making towards silver birch tree. Later he returned without the can & went up trench towards enfilade trench. LETTER to HIBBETT FAMILY, 95 Foden Rd Walsall. There’s a silver lining through the dark cloud shining, Turn the dark cloud inside out, till the boys come home (6). On Monday (8th) morning Sydney’s parcel, with the watch in, had been opened by A.O. Jones* who is in Sydney’s Platoon & was with him & slept by him. Sydney must have left word to Jones to forward on the parcels etc, if he found his address, but someone told Jones that he had not received a certain parcel which had been forwarded to him (it had been mislaid I suppose) so Jones is keeping the watch for Sydney. I took the cake & tin (a nice tin for a parcel). This morning the Railway Magazine (7) with the washing square came & was handed to me. I am keeping them in my haversack until Sydney returns, which I think will not be more than 3 weeks now. There are only about 6 men in No 2 Platoon who have been on Active Service since the Division came out in March/ 15. So if I should get leave before Sydney returns I will leave his things with Jones. I had Harold’s parcel of candles, Horlick’s Milk Tablets & ointment which was addressed to 3rd Field Ambulance am yesterday. Did you post the parcel you sent on Saturday April 2th to 3rd Field Ambulance? – the one you said had eggs in? That makes the second which will have gone astray if it does not arrive soon. I read Dodger’s letters to Sydney (you don’t mind do you Dodger?) & was greatly interested in them, but I think you beat me in scribbling. The first thing I noticed was the ‘Censoring’ & was amused to read you had the same idea. I have had another swanky letter with seals on the envelope & paper – the latter came from Mr Bates*, who was in the Inns of Court OTC (8) – Vernon* told me that rotten officers were being turned out by its training – at any rate Mr Bates was gazetted last November to the Durham Light Infantry & he is now at Rugeley Camp, Cannock Chase (9). I have not written to Nightingale* (10) since last December, as you said his letter had been returned when it did not reach me, owing to me being in Hospital. I think the ‘Dark Cloud’ is drifting by and the sunshine of Home Leave is showing itself. ‘They’ say the number has increased to 12 men a day on leave. I hope I shall not bhoy (sic) you up on false hopes – ahem! So, so very, very sorry Sydney is away for the sake of your Birthday parcels for him, but I think if you address the parcels to where he is No 6 Syndicate, 3rd Army School of Instruction (Infantry) B.E.F. it will find him. What do you think? I hope in any case matters will come straight & he will not miss them. I am detached from 2 Platoon while in these trenches, for I am a Schniper (sic) as you know. I do not do much firing – well I have not fired a shot yet as my post, which is a ‘cushi’ one, is for observation purposes chiefly, as we can see the enemy often. I make out reports & am on a ‘sketch’ of the enemy line. You see the Sergeant in charge has somehow found out my natural inclinations. Mrs Brookes*’ parcel of cigs from London has not yet come, but I suppose, as Jones* told me Parcels do ‘drawback’ for sometimes a month before they arrive. (Jones frequently has a wholesome lot of cigs – Export or Drawback ) (11). Mr Bates*, by the by, had a brother, a Regular in the Inniskilling Dragoons & he was killed in March at the place along the line we are now occupying. So if Dad asks Nightingale* or Bates*, should Dad see either, you can get to know. We have had it charmingly quiet & comfortable while we’ve been here. The country looks ‘Bon’ in the Spring atmosphere. Am I telling you anything about me sen? I am keeping well & happy & my sores are very nearly better. I think it was the Spring, partly, that caused them. Talking about Spring again; you have heard the old saying that Spring brings with it ‘Budding’ in every form, not only in trees & such things but ‘Budding Authors’ & ‘Budding Poets‘. The latter class includes this humble self. I caught the fever from copying a piece of ‘doggerel’ from one of Hacket’s* chums in his Mess. 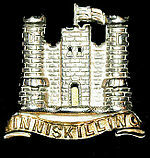 Title Page Sniper Atkins. ‘Wait & See. A few verses from my pencil written in the trenches, during the reign of Good King George V ‘. Sketch of one of his sniper pals. Signed A. H. Hibbett. So, during my hours off, I began to compose a poem on Sniping, just for a joke. To see if I get any luck I am sending the result off to The Walsall Observer, (which Dad refers to as ‘not up to much in news’ & only gets it to read the Education Notes etc). So look out for a poem in its columns entitled ‘Sniper Atkins’. I think I shall tell them not to put my name to it, but say that it was composed by a Sniper in the 1/5th S. Staffs T. F. Ha! ha! ha! Poor old Dad when he sees it! Look out & tell me what you think on’t. I will send you a copy in my next letter. Of course it’s original. What, what! Now is there anything else to tell you, scratch!- scratch!- scratch my noddle — no! PS My word Dodger, you & I will stick ‘we’ mouths togedder (sic) with Turkish Delight when we go cycling round those good old places which you gave such a homely description of. ‘To Tamworth (13)- had a drink of stone ginger & Turkish Delight’. PS I will address my next to Ida as she takes an interest in poems – I suppose you’ll be amused at the crossing out – the Censor so to speak. My last letter was sent on Monday, dated Sun. Hope you get it. With Pte Bertie Hibbett only just arrived back from Field Ambulance/ Hospital and his brother Serjeant Sydney on a course in (or near) Abbeville, the Hibbett family were anxious about the safe arrival of parcels, especially Sydney’s 22nd Birthday Parcel containing a watch. My father was officially detailed to make sketches of Gommecourt Wood. He brought a copy Home and kept it for over 50 years until, sadly, it disappeared after a Toc H. Exhibition in Skegness. I have yet to discover whether his illustrated doggerel ‘Sniper Atkins’ was ever published in the Walsall Observer. 1) A march of 40 miles (65 km) approx to Fonquevillers from Chelers, via Canettemont, Honval & St Amand (farming villages, Pas de Calais). (2) Fonquevillers: farming commune, 12 miles south of Arras. On British Front Line almost all of 1914- 1918. Village & Church of Our Lady destroyed & rebuilt with help of Derby & Nottingham. Plaque to ‘Derby Notre Marraine’ ‘Derby our Godmother‘. 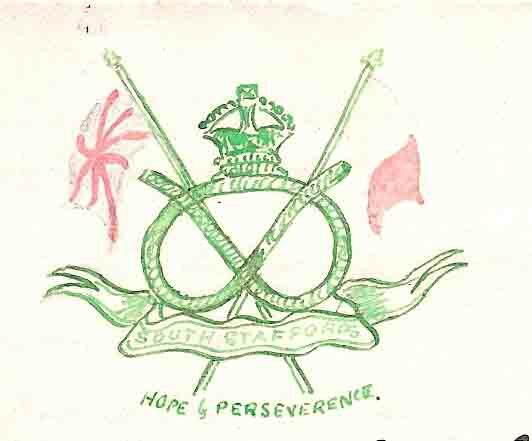 (5) S.B. abbrev. of ‘Subject’? ie Pte Bertie? (6) There’s a Silver Lining through the Dark Clouds shining: WW1 Song: ‘Keep the Home Fires Burning’. 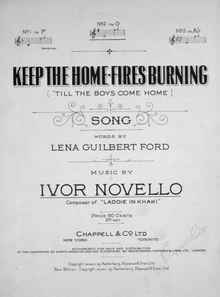 Ivor Novello, Words: Lena Guilbert Ford. 8th Oct. 1914. (7) Railway Magazine: See Hibbett Letter, 10th Nov. 1915. 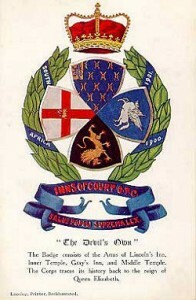 (8) Inns of Court O.T.C. 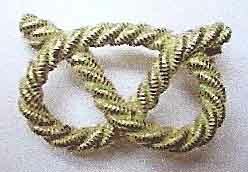 : Harold Hibbett was intending to join. (9) Rugeley Camp, Cannock Chase: one of two large Transit Camps for Service Battalions begun March 1915 at Cannock Chase (68 acres (AONB) Staffordshire). Timber huts, a Church, Post Office, Theatre – and a Hospital at Brindley Heath (1000 beds). Known for its ‘Tackaroo Railway’. 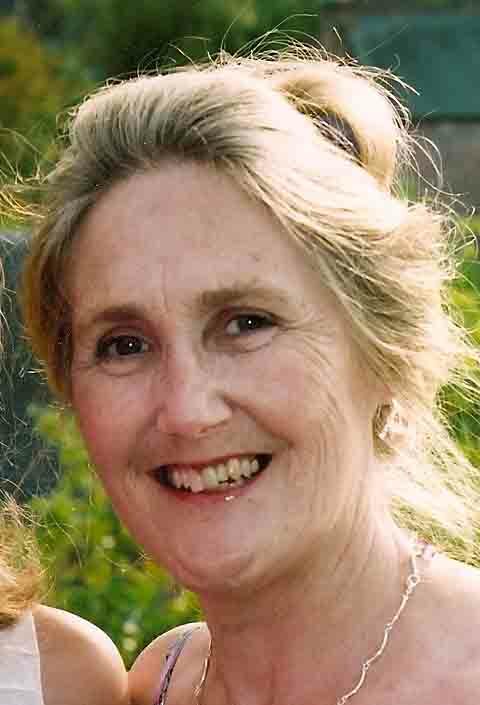 (10) Nightingale: Mining Surveyor, Lichfield Street, Walsall, Pte Bertie’s former boss. 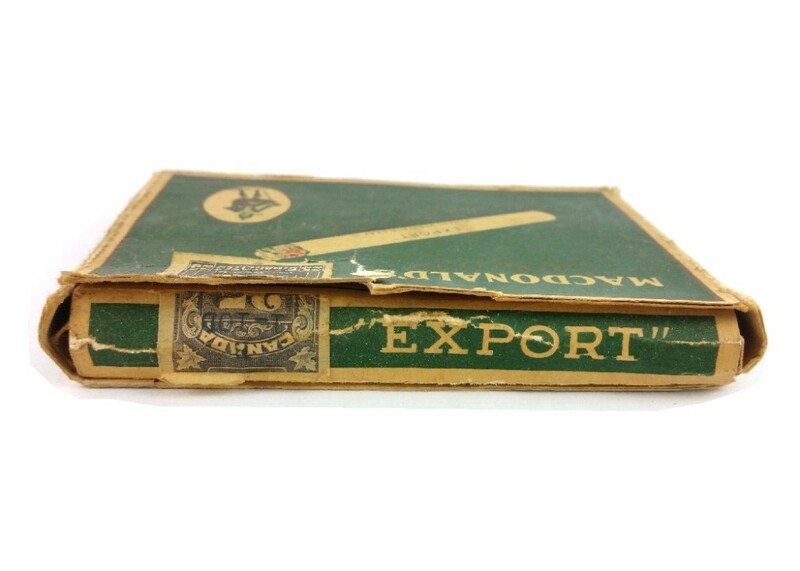 (10) ‘Export & Drawback Cigarettes’: ref to drawback/tax relief: cf Houses of Parliament Hansard: 14th March 1916: The Secretary to the Treasury (re delay in payment of drawback on tobacco to manufacturers. ‘The recent increase in tobacco drawback rates involving special inquiry into many claims submitted, combined with heavy & continuous increase in numbers of exportations, particularly those by parcel post to the Expeditionary Forces, has led to some unavoidable delay in the full payment of claims’. (11) Camwell: near Sutton Coldfield. Church of St Giles, Mary & All Saints ‘an architectural gem’, Sir John Betjemin. 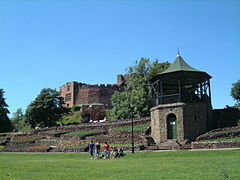 (12) Tamworth: large market town on River Tame, 14 miles from Birmingham/ renowned for Castle. See Hibbett Letter. 1st Aug. 1915. NEXT POST: 17th May. Sydney’s 22nd Birthday Letter. Also Sniper Atkins Page with doggerel transcript sometime before. 'Drawback tax relief on tobacco 1916.6th Syndicate for School of Instruction at 3 Army Camp 1916.Abbeville.Battle of Somme 1916.Birthday parcels 1916.Camwell & Tamworth.Chelers 1916.Derby.Fonquevillers 1916.German Imperial Army.Gommecourt Wood 1916.Hansard Tobacco Drawbacks 1916.Inns of Court 1916.Keep the Home Fires Burning.Mr Nightingale.Railway Magazine 1916Royal Warwickshire Regt 1916.Rudyard Kipling.Rugely Camp Cannock Chase.Sniper Atkins doggerel 1916.